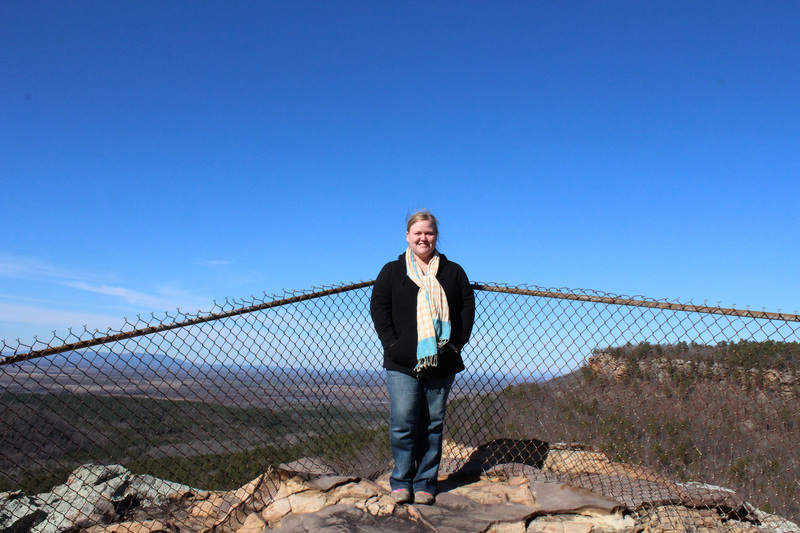 We stopped at a Petit Jean State Park overlook on our way back from Holla Bend National Wildlife Refuge. It’s gorgeous even during the height of winter. 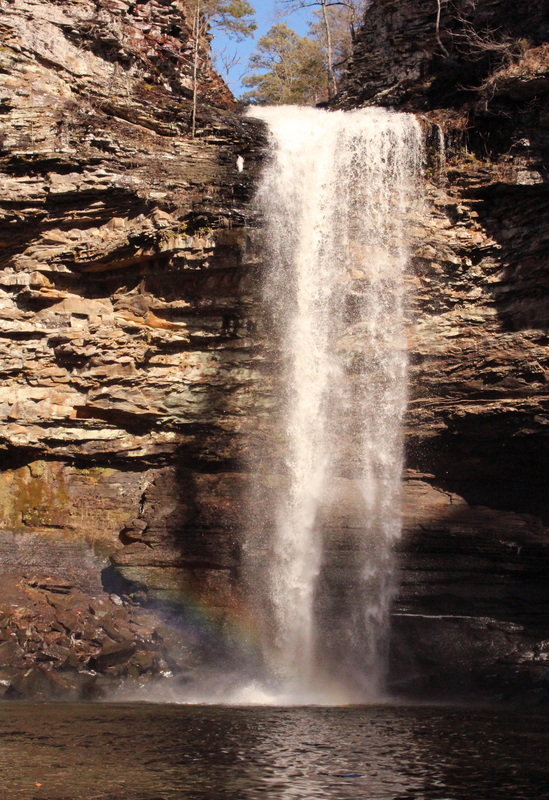 Petit Jean, established in 1923, is the first state park in Arkansas. 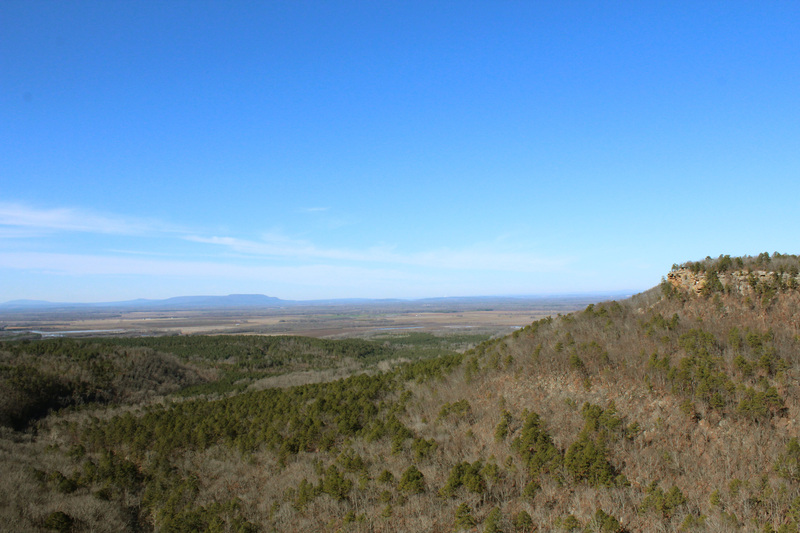 It covers 2,658 acres on Petit Jean Mountain between the Oark and Ouachita Mountain ranges in west-central Arkansas. It includes woods, ravines, streams, springs, amazing views and neat geological formations. 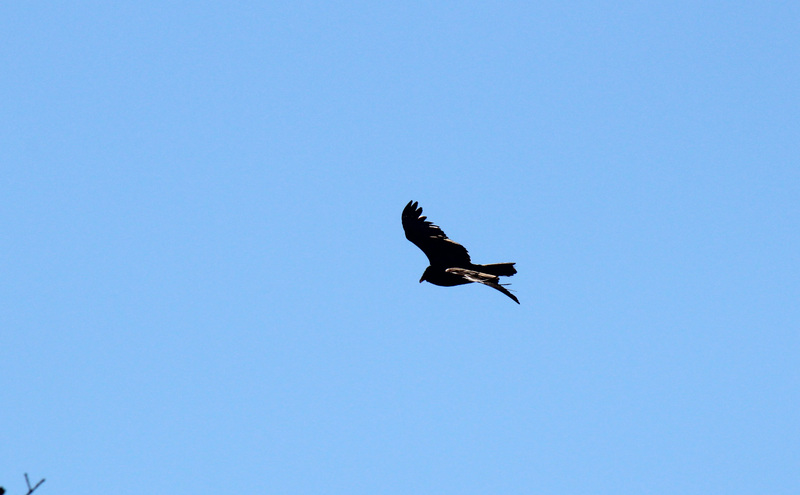 We might have spent our morning looking for Bald Eagles, but we spent our afternoon hiking to Petit Jean’s 95-foot waterfall located within the Cedar Creek Canyon. 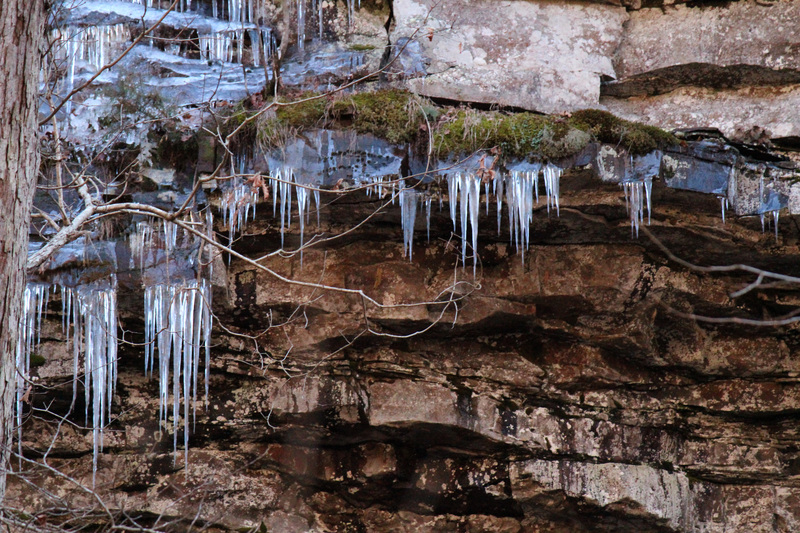 The Cedar Creek Canyon was added to the register of Arkansas Natural Areas in 1977. To get there, we took the two-mile Cedar Falls Trail. 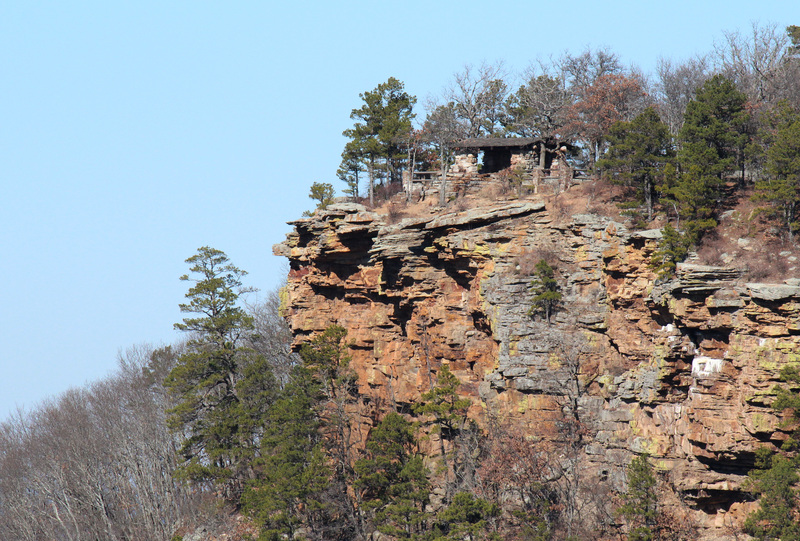 The two-hour trip is a moderate-to-difficult hike mostly because the first half-mile descends more than 200 feet down steps that the Civilian Conservation Corps cut from rocks more than 50 years ago. To leave, you have to go back up the steps. 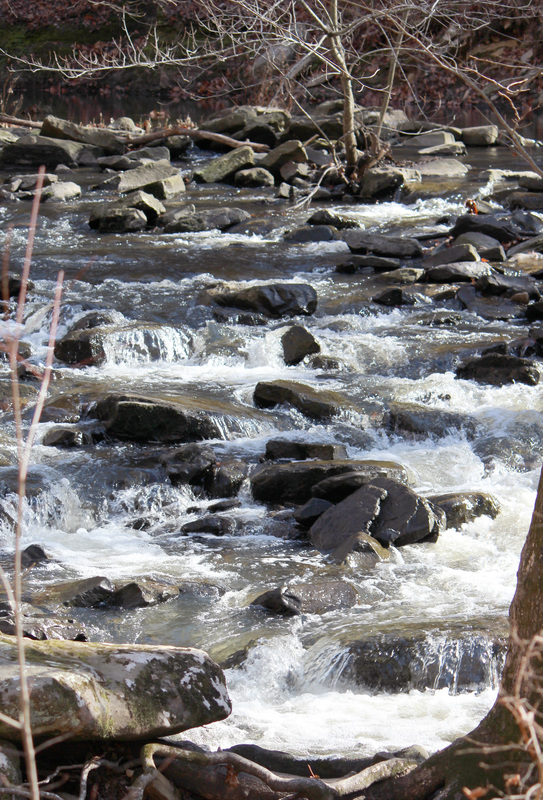 The trail also follows Cedar Creek for another half-mile before hikers reach Cedar Falls. My aunt and I had to stop at The Outpost Deli and Mart afterwards for fudge. The Petit Jean Mountain market has amazing fudge and its a must-stop for anyone passing by. Getting my picture taken at the gorgeous overlook. 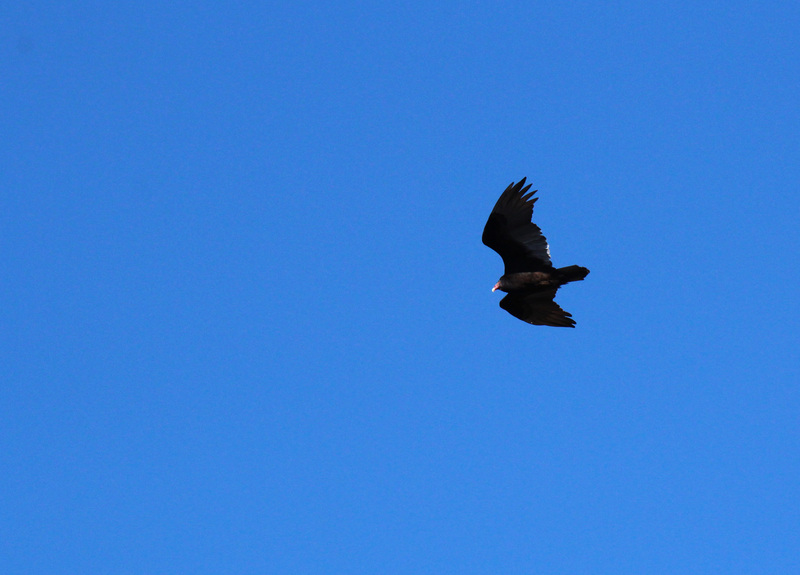 A Turkey Vulture circles the outlook. 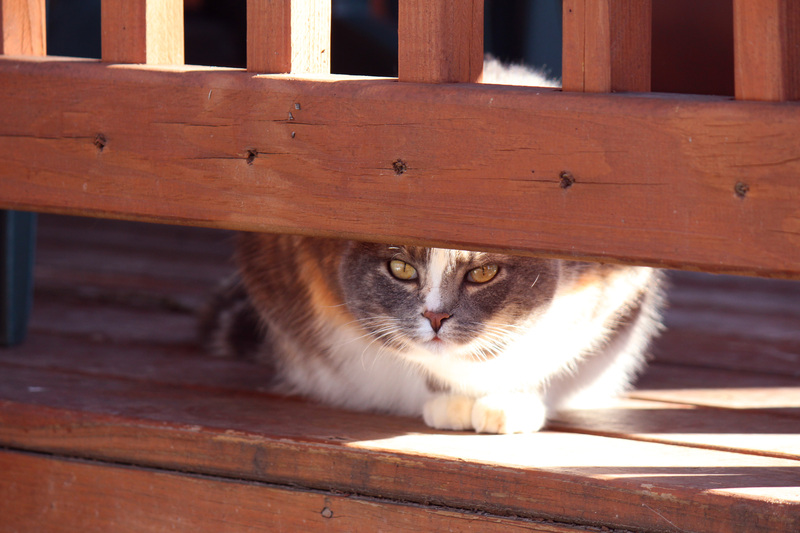 This distrustful cat watched me as I left The Outpost Deli and Mart near Petit Jean State Park. I'm not sure if it was just distrust or hopefulness that I would drop my box of chocolate-peanut butter fudge. High winds, sunsets and destruction.